Hey y’all – today’s tutorial is how to sew envelope pillow covers, which are among the easiest super easy beginner sewing projects! 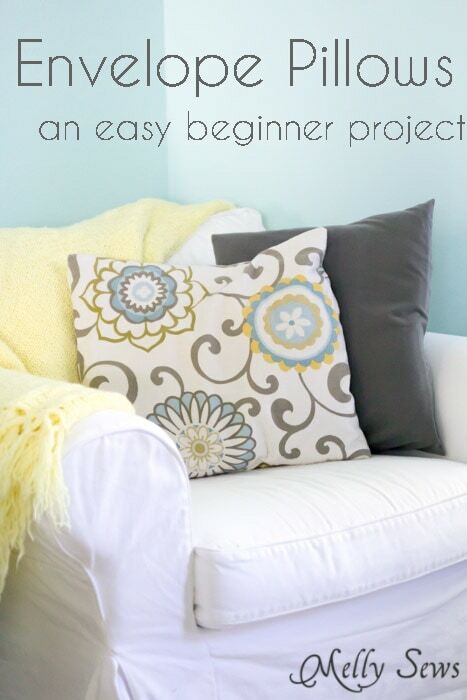 And even if you don’t need to learn to sew this project fits into this month’s “Back to Basics” theme as a fun and quick way to brighten up a room. Sometimes you just need the satisfaction of a quick sew, and these totally fit the bill with one piece of fabric and 2 seams! Bean (my 4 year old) actually did most of the sewing on the gray pillow in the picture above – he thought using the sewing machine was a lot of fun. Fabric. Your fabric should be the same height as your pillow plus 1 inch, and twice as long as your pillow plus 8 inches. 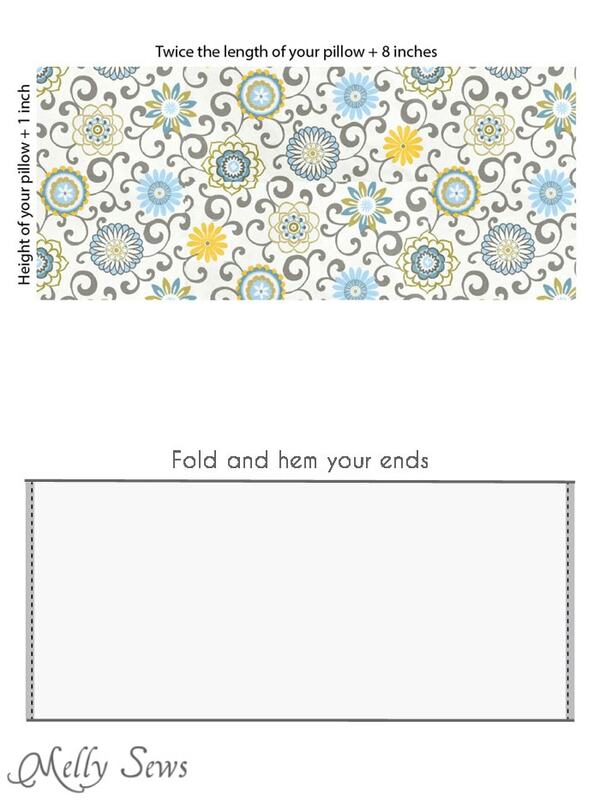 I’ve made video instructions as well as picture instructions, so whichever way you learn best, you’re covered! Watch the video below, or if it won’t play for some reason you can watch how to sew envelope pillows on YouTube here. Or keep scrolling for the written instructions. 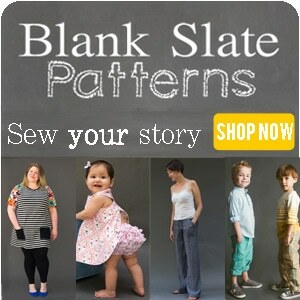 Start by cutting your fabric. Your fabric should be the same height as your pillow plus 1 inch, and twice as long as your pillow plus 8 inches. For my 18″ pillow, I cut a piece of fabric 44″ long and 19″ tall. Fold the short ends of the fabric 1/2″ to the wrong side and press, then fold them again 1/2″ to the wrong side and press again. Stitch, forming hems. Lay the fabric right side up. 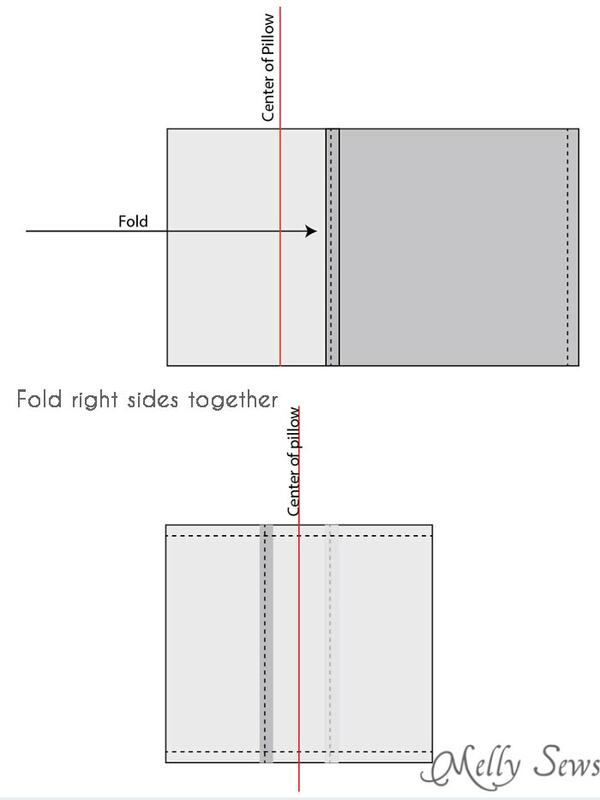 Fold the fabric from the left right sides together, overlapping the center of the fabric by 3″. Repeat with the fabric on the right, overlapping the center by 3 inches. This will form the envelope opening. Stitch along the top and the bottom. 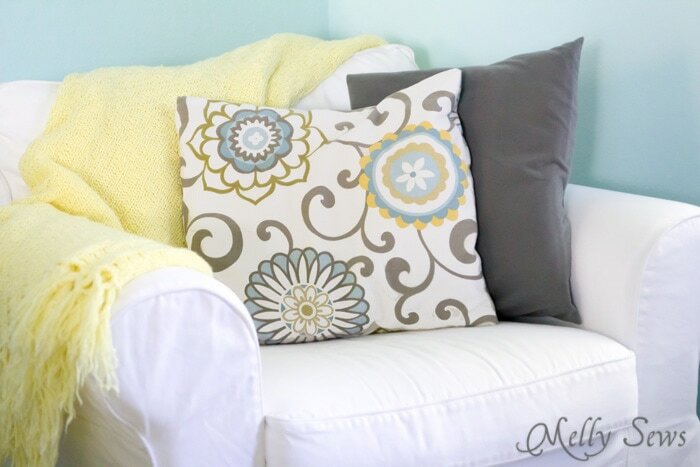 Turn the pillow cover right side out and stuff with your pillow or pillow form. And if this is your first project, give yourself a high five, because you are D O N E! This is a great way to brighten up our well used living space. I will be using this when springs comes around. Thx! 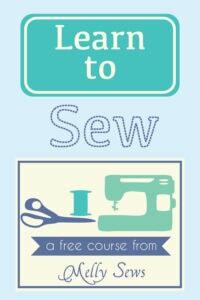 Hmm… I’d like to make this, but apparently I forgot about something important in sewing! Will it just look awful if not pressed? I don’t have an iron, and I don’t want to buy one, since I’m getting married in a few months and it’s on the registry. Enjoyed the video plus the written instructions. Makes it easier to understand all steps. Thanks! Thank you so much. It would be nice if all tutorials were this easy to follow. Thanks for helping people like me that needs a step by step to learn from. I love this pattern! I’ve made two already and since they’re so simple I’m making several more and making them seasonal! Thank you Melissa’s! Your video is great! The printed instructions very helpful it keeps me from going back to the video because of memory problems. Great tutorial! Can you tell me What the name of the patterned fabric is that you used? I love this pattern! It’s a Waverley print that’s out of print.